It can be a struggle to plan a family-friendly vacation now-a-days. Many kids would rather be chatting online with friends, playing video games, or at the very least, would prefer not be seen in public with the parents. Yet, spending quality time with family is important and helps build relationships as well as an understanding of the world around. That’s why national parks serve as a parent’s secret weapon. National parks have it all – beautiful landscapes, fresh air, wildlife, recreational activities, and even offer the additional bonus of actually learning something while on vacation. As if that weren’t enough, a national park getaway is totally affordable – music to any parent’s ears. So which ones are the best? Here you will find the top picks for family-friendly national parks to get away and have fun! It can be difficult to find a park that offers many options for kids with opposing interests. Yet Olympic National Park lets you backpack along the beach, hike through rainforests, take a dip in hot springs, and take in views of glacier-capped mountains. Outdoor activities are nearly limitless here, including horseback riding, hiking, fishing, swimming, and camping. Be sure to check out the center of the park – Mount Olympus – which holds seven of the park’s 60 named glaciers. Nearby Blue Glacier is a sight to behold, sometimes covered with 100 feet of snow. It is also a great spot to view black-tailed deer. Another must-see is the Hoh Rain Forest boasting trees that tower up to a 300 feet high. And if the sand is calling your name, visit Ozette Loop - the most popular beach area. Your family will enjoy an afternoon on the boardwalks and beach. If you are looking for a spot to rest and perhaps picnic, hit Hurricane Ridge, specifically Hurricane Hill Trail, for three miles of wildflowers and breathtaking scenery. For a once-in-a-lifetime sight, look into the park’s bald eagle viewings. By now your kids probably understand what global warming is and how it affects nature. So why not take them to Glacier National Park, where they can see some of the planet’s most spectacular displays? Sure you can visit year-round, but head to Montana during the winter season for a true experience, full snowy adventure. Enjoy an afternoon cross country skiing or snowshoeing through the wilderness. Learn how to ice fish or simply enjoy a hike on one of the park’s many trails. Ranger-led programs are your best bet for an educational and memorable vacation. Programs are designed for specific grade levels (from Grade 1 to 12) and range from Earth Science to Forest Processes and Native Plants. Participants will learn about geologic activities that have shaped the land, forest ecology, weathering, erosion, plants, animals, and more. The park has a lot to offer – with six National Historic Landmarks and one of the largest ecosystems in the US – so be sure you plan your trip in advance. The 10-mile long Lake McDonald boasts stunning views and wildlife, as does Many Glacier Trail, located on the Continental Divide. If snow isn’t for you and the kids, visit towards the end of June. Not all national parks rely on the beauty of the landscapes to attract viewers. In fact, this national park boasts some of the world’s most amazing attractions underground. Located in the heart of the Guadalupe Mountains, Carlsbad Caverns contains an underground network of caves and fascinating rock formations that were formed over 500,000 years ago. Be your own guide, wandering the caves alone and take in the stalactites sticking out from the ceilings of the caves as well as the stalagmites and helictites, all created by water dripping slowly on the cave floor. For a more informative experience, take a guided tour to learn more about the cave’s geology and history. Be sure to sign up for the "Bat Flight Program" – perhaps one of the most memorable experiences for the family. Carlsbad Caverns are home to hundreds of thousands of bats and this program is coordinated with their schedules so you can experience them firsthand. Afterwards, take the family over to Rattlesnake Springs - an ideal locale for barbequing, picnicking, and bird watching. Worried when to visit? Don’t be. The temperature underground stays at 56° F year-round. Reason #1: Your family is going to Hawaii. Reason #2: You are going to see actual volcanoes. Face it, Hawaii Volcanoes National Park is a phenomenal destination, and one the family will remember for a lifetime. Located on the “Big Island” of Hawaii, this national park houses two of the world’s most active volcanoes – Mauna Loa and Kilauea. Be prepared to witness stunning volcanic features such as fumaroles, cinder cones, calderas, and lava tubes. In fact, you can actually walk right through the tunnel known as the Thurston Lava Tube. 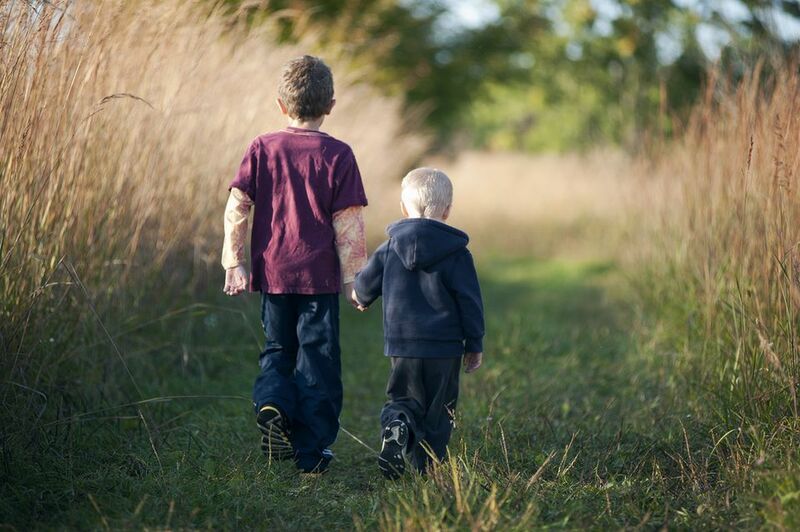 There are over 120 miles of trails available for hiking, ranging from easy to very challenging, and two scenic drives in case your little ones are too young for the hikes. Take the family on a short one-mile trail at Kipuka Puaulu which showcases more recent lava flow, as well as one of the richest concentrations of native plans and birdlife. Stay in the coastal region known as Chain of Craters if you want to see a lot in a short amount of time. And to show the kids just how the planet can recover from destruction, check out Devastation Trail – a walk though the remains of a forest destroyed during an eruption in 1959. Tip: Check out the sites at night for an unbelievable view! Biscayne is truly the best park for families seeking time away together. Not only is it easy to get to (whether you drive or fly, Florida is a pretty inexpensive destination), but the ideal time to visit is when your kids are on Spring Break. And that weather is ideal for the aquatic activities Biscayne offers. Take the kids snorkeling to get see colorful wildlife up close. Or try your sea legs at scuba diving – the park has one of the only wall dives in the Florida Keys. Families can also choose from a variety of activities ranging from canoeing and lobstering to camping and ranger talks. Kids not convinced yet? Point out that they can see dolphins, manatees, and crocodiles. Yeah… crocodiles. From glaciers and caverns to canyons and volcanoes, each national park highlights a unique feature for your family to enjoy. Start researching now for your next vacation!